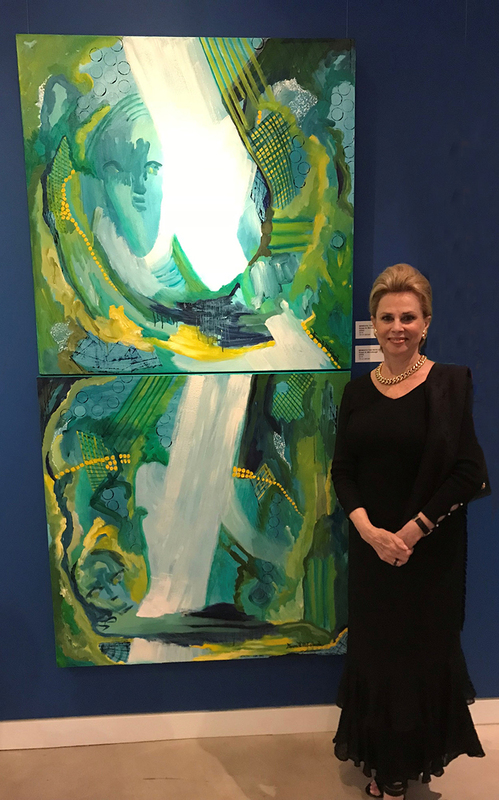 DAPHNE, Ala – A United States Sports Academy trustee and a member of the Academy’s Art Committee have both been selected for a prestigious international art exhibition at Niagara Falls to emphasize the importance of global access to clean drinking water. Susan N. McCollough and B’Beth Weldon are among 37 artists selected from 18 countries for the exhibit “Water for Life,” which runs through 9 September at the Niagara Falls History Museum in Niagara Falls, Ontario, Canada. Organizers say “Water for Life” is designed to encourage visitors to reflect on the abundance of fresh water that the world famous Niagara Falls puts on display to sensitize audiences to the global inequalities of the world’s access to clean water. “Water for Life” examines the influence and power of water through painting, photography, digital art, sculpture, and installations. The water theme was inspired and supported by muralist Rina Lazo, who worked with the late famous Mexican painter Diego Rivera on the creation of an underwater indoor mural in 1951 to commemorate the completion of a major component of the central water system in Mexico City. McCollough’s works in the exhibit are two abstract oil paintings entitled “Beneath, the Ocean Whispers,” and “Beneath Rays of Whispers … Silence.” Weldon’s work in the exhibit is an oil abstract entitled, “Pure Intent.” Both feature rich aquatic themes. “Niagara Falls are definitely life giving and the need for pure drinking water is real,” Weldon said. “Twenty percent of the world’s pure water flows through Niagara Falls; thus, to capture the essence of water is to capture the essence of life. In my painting ‘Pure Intent,’ the blue colors not only represent the life giving forces of pure and clean water, but also the intent to have clean air to breathe as well. 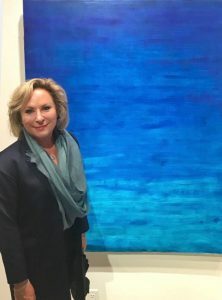 “Being a part of the exhibition, ‘Water for Life,’ and witnessing the majestic, mesmerizing, and powerful Seventh Wonder of the World first hand has made a lasting impact on me and my art,” McCollough said. “I am sure it has been the same for the other international artists from all 18 countries as well. “The message that I took away from this exhibition is that the Niagara Falls History Museum and the artists involved in this exhibition will continue to serve as ambassadors to the world, and remind humanity that life on our planet depends on maintaining pure, clean water for all … forever! 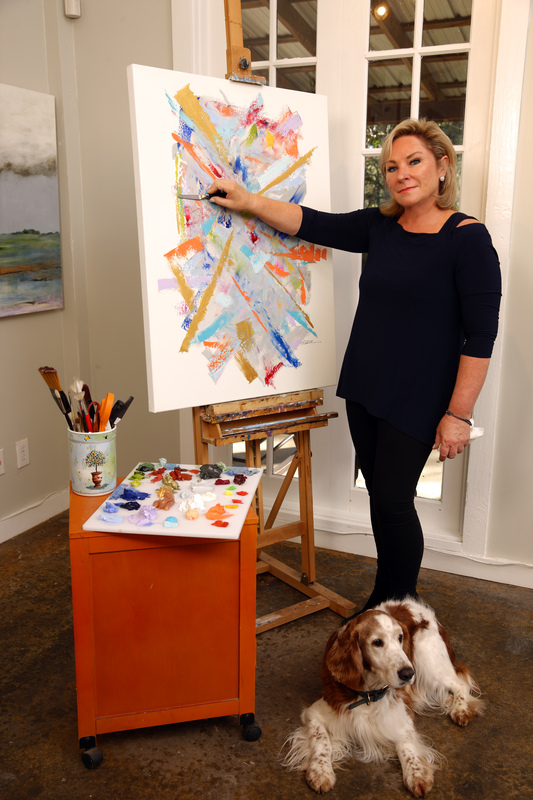 McCollough is an accomplished artist with a gallery and studio in Gulf Shores, Ala. Her abstract expressionist paintings have won numerous national and international awards, have been exhibited on four continents, and hang in a wide range of collections. A native of Bronx, N.Y., who grew up in Dothan, Ala., McCollough received her bachelor’s degree in speech and art from the University of Alabama. She was named to the Academy’s Board of Trustees in 2016. She previously served 12 years on the Academy’s Art Committee and remains as Artist Emerita. 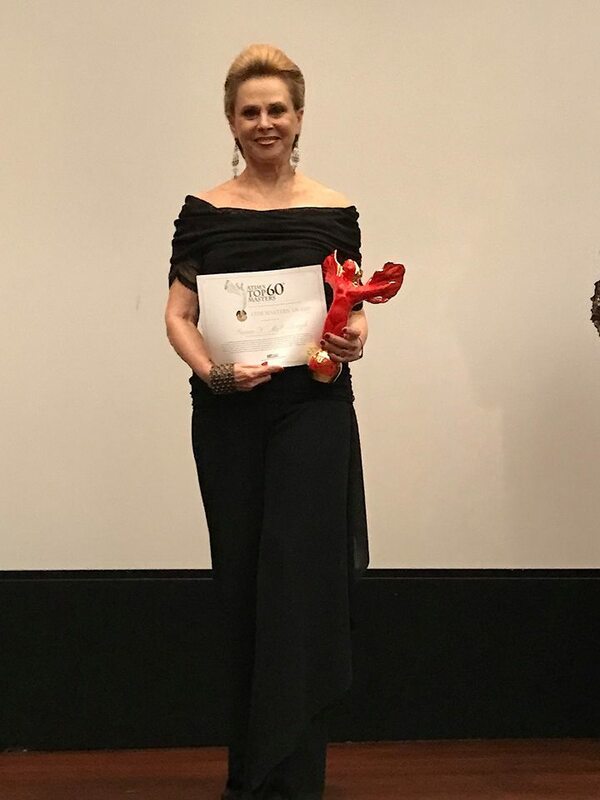 United States Sports Academy trustee Susan N. McCollough recently was named one of 60 Masters of Contemporary Art for 2018 by Art Tour International Magazine, in addition to being selected for a prestigious international art exhibition at Niagara Falls to emphasize the importance of global access to clean drinking water. McCollough was selected as Artist of the Year 2017 by Art Tour International Magazine, which also recently named her one of the top 60 Masters of Contemporary Art for 2018 in a ceremony at the Museum of Arts and Designs in New York City. Three of McCollough’s painting were exhibited in New York at the Rio Gallery III during the Art Tour International’s Top 60 Masters Create 4 Peace Exhibition. For more, go to http://www.susannmccolloughart.media/. Originally from Mobile, Ala., Weldon grew up painting and drawing scenes from active summers along the Gulf Coast. She was educated at Mount Vernon College and Georgetown University, earning bachelor’s degrees in both business and arts and humanities. She is also a member of the Academy’s Art Committee. Weldon, whose studio is located in Fairhope, Ala., has been featured in numerous solo and group exhibitions, including her recent international exhibition “Women Bridging Worlds” with Dr. Mina Valyraki in Athens, Greece. Recognized for her abstracts, landscapes and sport art, Weldon’s award-winning works have been featured in several movies, and can be found in museums and private/public collections throughout North, Central, and South America, Asia, and Europe. Due to its positive and healing qualities, her art has been acquired by numerous healthcare facilities and hospitals. For more go to www.bbethweldon.com. B’Beth Weldon, whose studio is located in Fairhope, Ala., has been featured in numerous solo and group exhibitions, including her recent international exhibition “Women Bridging Worlds” with Dr. Mina Valyraki in Athens, Greece. The Art Committee helps guide the development of the Academy’s American Sport Art Museum and Archives (ASAMA) and assists with selection of ASAMA’s Sport Artist of the Year.